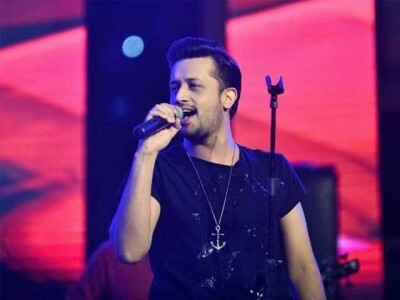 Karachi, The leading pop singer, Atif Aslam has shown the tremendous performance in the show, ‘Azadi Rock Festival’. He has already performing well and he has created the positive image of Pakistan through his voice across the world. 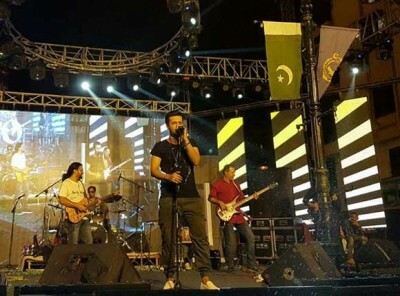 The concert was conducted on Odolgi Dinsha Road on Karachi Custom House and he sang the leading and most melodious song and the participants were danced on the song. He also said that the new songs in the concert are good and it is good initiative to enlighten the public places with the music. Atif Aslam sang the songs like Jal Pari, Adat, Meri Kahani, Dil Karay to Kia Karain, Kuch Is Tarah, Main Rang Sharbaton Ka, Zindagi aa Raha Hon main, and various other songs. There are some other participants like Kaya Band, Chronicles of Khan, Mai Dhai, Fusion Band, Zoe Viccaji also showed the tremendous performances. CO Architecture has conducted the Azadi Rock Festival and now it will be continued every year.